On Monday's drive to gymnastics, I scrolled through my iPhone to find music. And, like a good chunk of the time, I settled on the Monkees. No, not the Beatles, not the Stones, not U2 or any of those “respectable” classic bands that people listen to over their lifetimes. 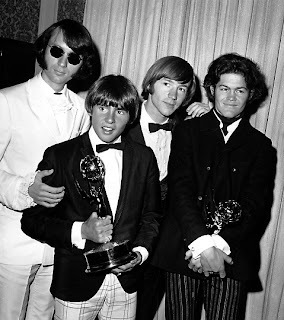 The Monkees are my lifetime band. I’m not sure what drew me to the Monkees cassette. I was a kid, I’m guessing around 8 or 9 years old. We were at what we referred to as “the company store” which was the employee store at 3M, where my dad held a summer job as an overnight security guard. I looked the tapes over and something intrigued me about the cover, or maybe it was the name. I bought it and listened to it constantly. This was right before the big 1980s Monkees explosion. 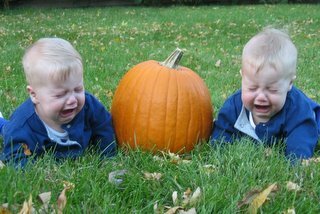 Does anyone else remember this? The Monkees were on MTV and Nickelodeon all the time. Their music was on the radio. It fed the fire. My sister Amy, her best friend, Rena, and me, as the requisite pesky little sister, became truly obsessed. We had Monkees t-shirts. Dad would take us to record shows on weekends, where we would pick up yet another copy of Headquarters on vinyl because it looked just a tiny bit more perfect than the one we already had. Rena had her grandmother knit Mike hats. Amy had a little cottage industry selling “love beads,” taking out ads in the back of Monkees-related magazines and newsletters. We sang every word to every song, and quoted the show incessantly. And yes, the three of us were at the Minnesota State Fair when 3/4ths of the Monkees played in 1986 ( co-billed with Weird Al Yankovic!). Fastforward the cassette to 2011. I scored four tickets to see the Monkees at, of all places, the Minnesota Zoo. 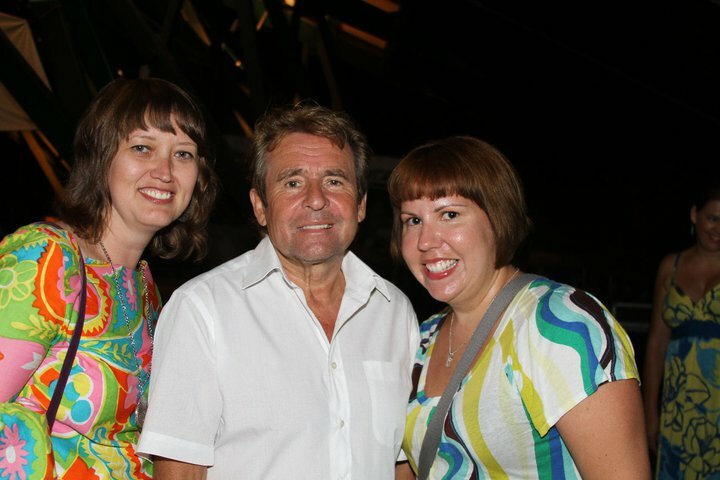 Nate was also a childhood Monkees fan, and Amy and I had to go, and of course we had to round up Rena, as she was the only other person who could share this excitement with us. It was a thrilling reunion. It was a gorgeous, sticky summer evening of singing along, dancing, and laughing at how goofy we were all being. As the show went on, though, I started getting melancholy, as every song brought us closer to the end of the show. You know when they start playing the hits that the end is near. As the show closed, the venue started to empty. We noticed people gathering to one side of the stage. We headed over and lingered there, desperate for another shred of the magic we had just witnessed. Instead, we were shuffled along and people began lining up. Because the Monkees were coming out to meet us. Note: I tend to be a rule follower. A goody-goody if you will. Ask anyone who knows me and they will tell you: If you want to do something against the rules, do not call me. Do not tell me, either, because I will probably tattle on you. But standing there in line, realizing that we were part of a VIP meet & greet that we had no business being in, I was trying my best to not be a goody goody. Did I feel bad waiting in a line to meet the Monkees when I did not have the right credentials? Yes. Am I sorry I did it? No. That’s how we met Peter, Micky and Davy. I’ve had brushes with fame before, but this time it knocked me over. I was sweating and scared and so, so excited. In the pictures, I look manic, but that’s because I had stopped breathing a few minutes earlier. Rena, Davy and me in July 2011. Photo by Subway Music in the Zoo. Amy and Davy make a cute couple! Photo by Subway Music in the Zoo. Yesterday morning I happened to listen to the Monkees yet again. I didn’t even bother skipping “Shades of Grey,” a song, lead vocals by Davy and Peter, that I’ve always found too dramatic and cloying. And a few hours later, I heard Davy had died. Davy wasn’t my favorite Monkee (that would be Micky), but he held a special place in my heart – how could the cute/short/British one not draw me in? – and I’ve probably watched his hilarious Monkees screen test a hundred times over the years. 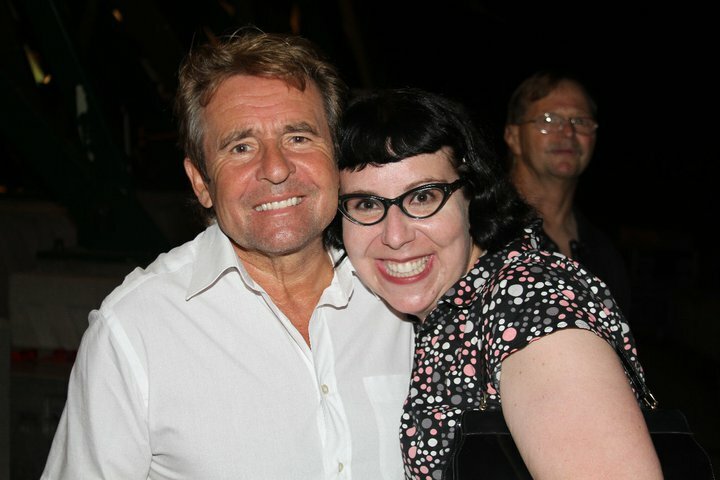 I admit to shedding a few tears over someone I met once briefly (I remember I told Davy I felt like Marcia Brady - gee, I’m sure he never heard that one before - and he apologized for not singing “Girl” at the show). But it’s more about a person who had a part in bringing so much joy to my life. 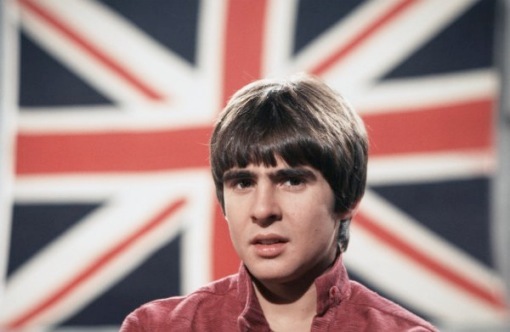 Thanks, Davy, for being part of my lifetime band. Nate and I were constantly late for dinner because we wanted to watch the last minutes of The Monkees show before heading to dinner. And I had their cassettes in my car in high school and made others listen as I sang along (badly, but the car is my Safe Zone for singing.) And pretty sure my mom thought I was a weird kid when Daydream Believer was one of my favorite songs when I was a kid. And yes, Davy was my favorite Monkee. You brought a tear to mine eye! Lovely posting! I knew David quite well - I used to work for him and lived at his PA home. I can't believe he's dead. Can't get over it at all. I keep wanting to blog about him, share some stories, but don't know how to start. He really loved meeting fans - like seriously. He would have loved reading this, too.